Learn about the rebrand work Axway did to modernize the company's brand promise, which no longer reflected the company. 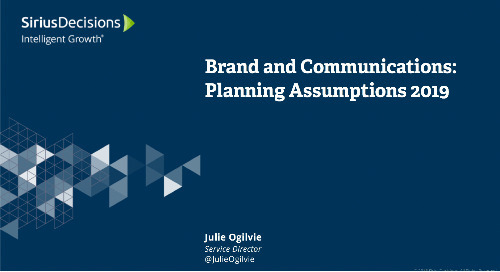 In this replay, Julie shares the five planning assumptions that will affect Brand and Communications teams in 2019. 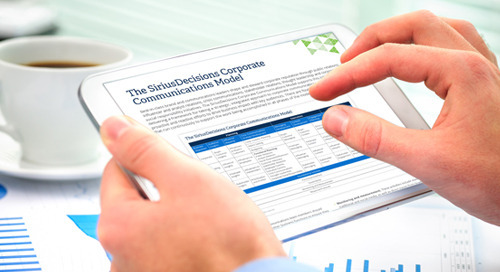 The SiriusDecisions Messaging Nautilus: Corporate Brand provides a structured methodology for developing corporate messaging that creates a halo of value for offerings and drives business value. Learn more about the model that offers a strategic, integrated approach to corporate communications that balances proactive and reactive efforts to drive business impact with key audiences. 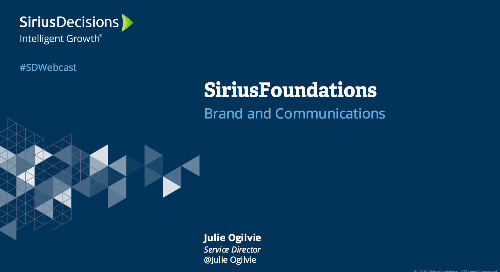 The SiriusDecisions Brand Lifecyle Framework enables brand leaders to cultivatie an effective and durable brand through brand development initiatives and ongoing brand amplification and optimization. Executive communications is a vital and challenging role that is often misunderstood. Give your executives the support they need with the four Cs of executive communications. In this replay, you will learn how to build a stronger brand presence, connect with key influencers, drive higher levels of employee engagement, and optimize social media channels. Here are five tips for marketing campaign leaders from your friends on the communications side that help ensure third-party influencers have a place in your next campaign. Missed our recent NYC forum on b-to-b corporate messaging? Get the recap here to learn the five deepest potholes on the road to corporate messaging nirvana. 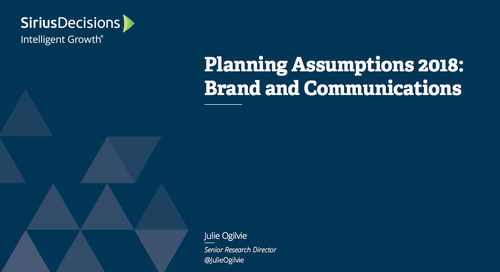 In this replay, I outline six planning assumptions to help brand and communications leaders make informed decisions when creating their marketing plans for 2018. 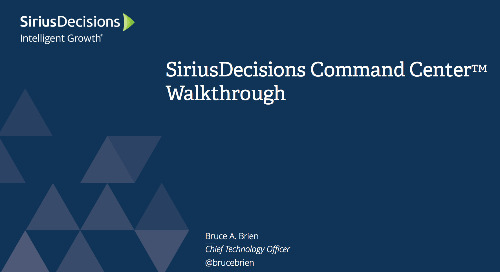 Introduce yourself to the SiriusDecisions Employee Lifecycle Marketing Framework for a strategic, step-by-step approach to effectively attract and engage employees. Download the model overview today. 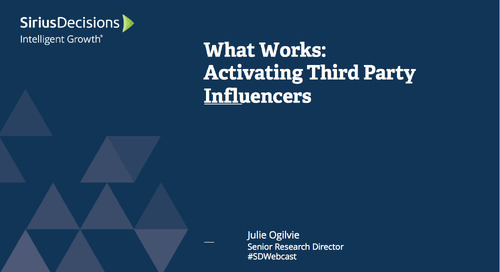 Learn to navigate the confusing realm of the influencer landscape.